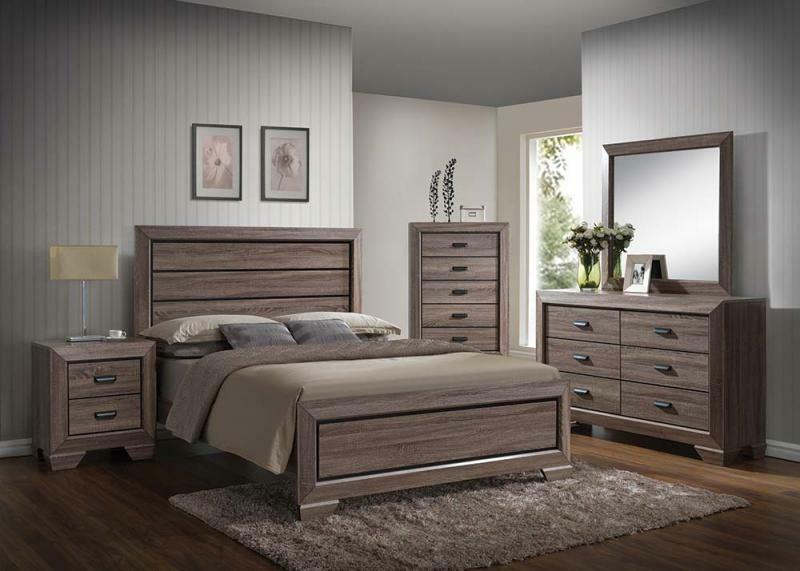 This collection allows you to create a rustic bedroom. The design of horizontal lines throughout this group gives off a relaxing ambiance.The soft tones of the weathered gray grain finish add interest to the ensemble. Notice this collection has plentiful space to store your folded clothing. The English dovetail drawer construction and center metal guides add quality to this handsome group.